Life of a Catholic Librarian: Divine Mercy for Moms Book Club, over at CatholicMom.com! 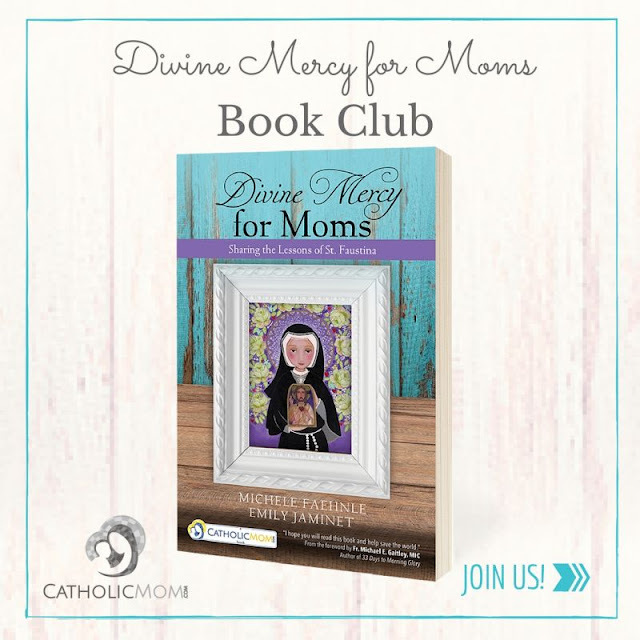 Divine Mercy for Moms Book Club, over at CatholicMom.com! The Catholic Mom fall book club! If you're a book club fan, this might be the perfect fall opportunity for you! Catholic Mom does a really great job with their book clubs. They start off with an author interview, then go chapter by chapter, throughout the season. You can sign up for emails letting you know each Saturday when the new post is up. And yours truly is participating! The author interview and chapter 1 posts are already up. I authored the chapter 2 post, and it's going up this Saturday, September 24th. These chapters are quick reads, and you could easily get caught up in a quick-as-a-bunny manner. Then next week you can comment on my chapter 2 post and I'll write back to you. ;-) The book is available in both paperback and ebook form, eligible for Amazon Prime! If you think you'll participate, let me know in the comments. I've joined in their book clubs in the past as a reader, and loved my experience!